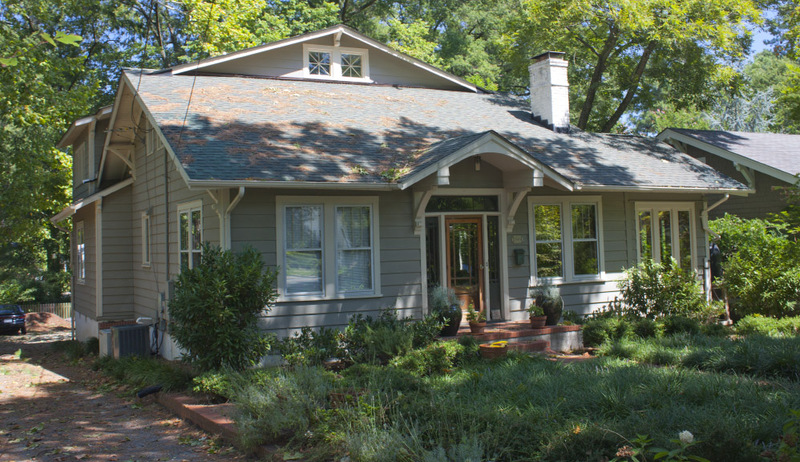 Craftsman style house with a side gable roof, interior and end chimneys and plain siding. It features 4-over-1 paired sash windows and an original Craftsman door with a transom and sidelights and a bracketed hood. A side porch is enclosed and there is a large 1 1/2-story, front gabled rear addition ca 1995. 1930 CD: W. Clark Lea occupant.